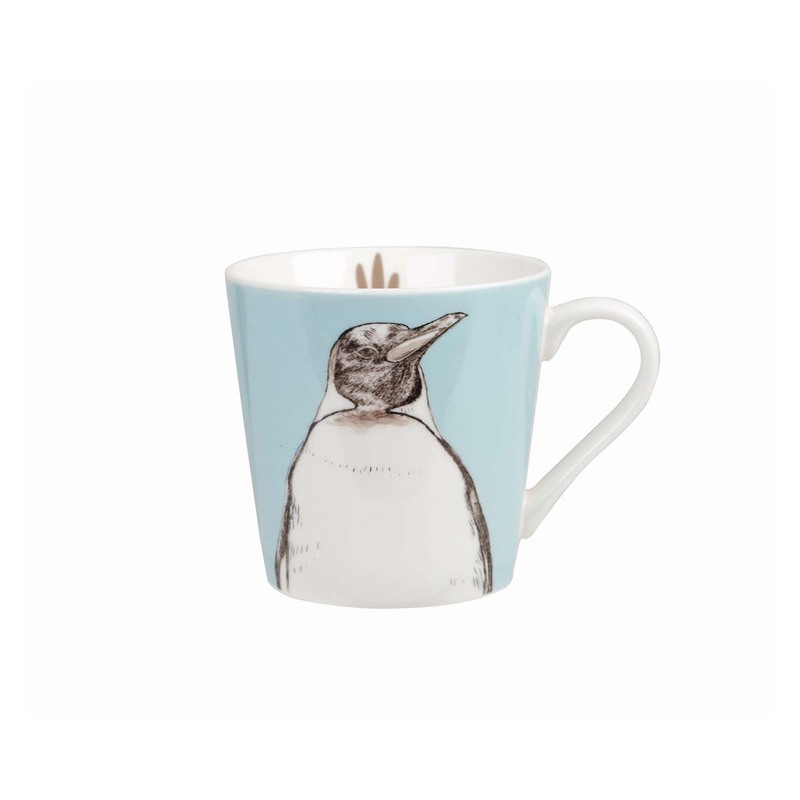 Made from fine bone china this mug has two beautiful illustrations each side of an emperor penguin. Complemented on a light blue background with a footprint inside the mug adding a cute touch. 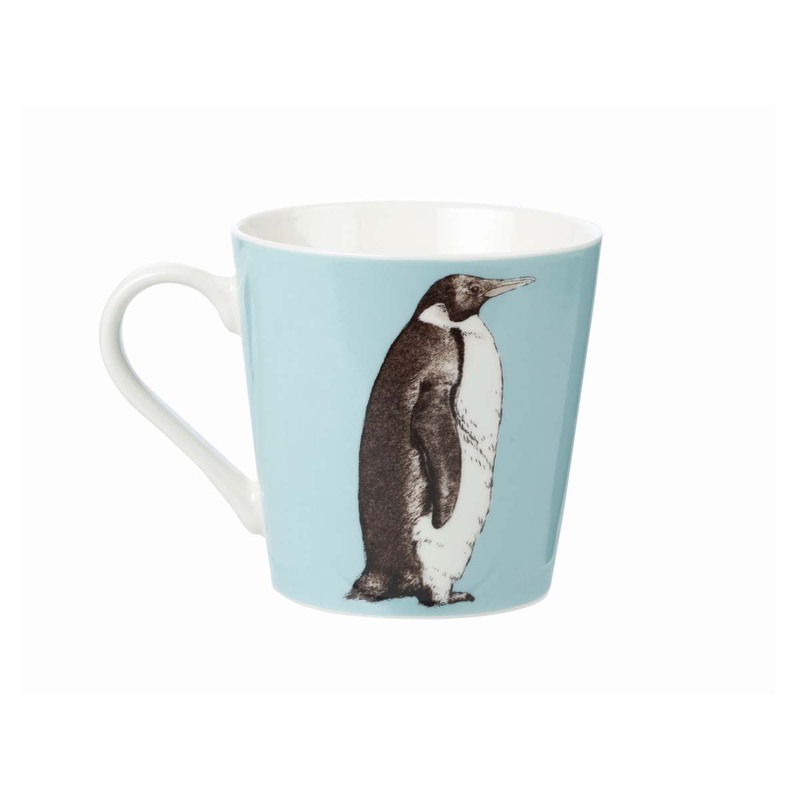 This Penguin mug is perfect for your favourite hot drink whether it’s at home or in the office. This Penguin mug is a great gift for penguin lovers as it comes presented in a gift box. Penguin populations are slowly declining. Penguins like the Rockhopper penguins are now listed as ‘Endangered’. The main cause of the decline is climate change, overfishing and ocean pollution. The main threat that has to be addressed is the amount of plastic entering the ocean. Plastic can easily be ingested by marine animals, which has a profound effect on their health and wellbeing. ZSL have collaborated with Selfridges and created a programme named ‘Project Ocean’ which builds awareness around the problem of plastic in our oceans. In the first year of this project, £20 million was raised to help create a 50 hectare marine reserve in the Philippines. ZSL and Selfridges continue to focus on combating overfishing and protecting marine animals like penguins from plastic pollution. Your purchase will help support ZSL’s conservation projects, which means you’re helping to protect wildlife!